It immediately made me think of the Bible. The Bible can be twisted around to try to do evil, but God intended it for good and his plan reigns. 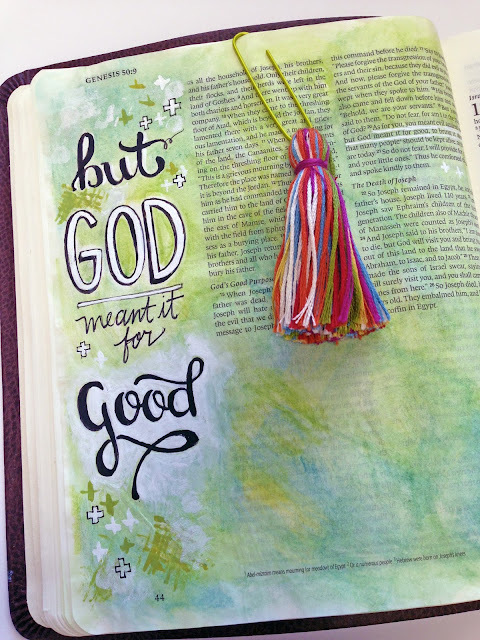 People may think we are silly for journaling and “coloring” in our Bibles, but the Word was intended for good and no one can take away our dedication to it. Everyone has a different way of expressing themselves as they study (remember creativity!) and we should all appreciate what others bravely, joyfully and kindly share with us here even if it’s not quite how ourselves would do it. God intended the Word for good! Don’t let anyone take that away from you.